President John F. Kennedy was born John Fitzgerald Kennedy on the 29th May 1917. 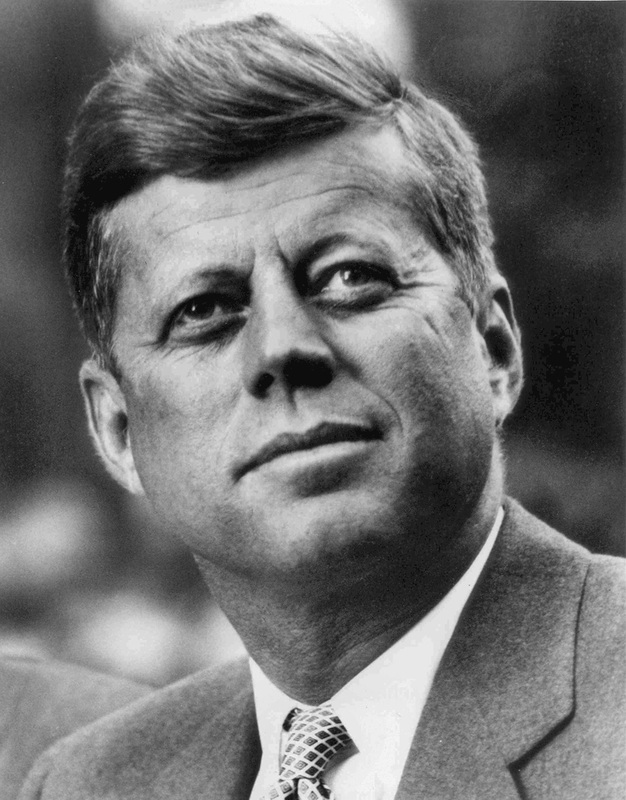 He became the 35th president of the United States of America in 1961 and was commonly referred to as JFK. He was elected as president at 43 which made him the youngest elected president in the United States at the time. During his presidency things were tense with Communist states which included the period of the Cold War. After World War II the United States and its allies fought for power with the Soviet Union, and the struggle continued for many years. The Cold War was a state of tensions between the Western Bloc which included the United States, and NATO allies, and countries in the Eastern bloc which included the Soviet Union and the countries surrounding it. Kennedy played a large role in the Cold War and is an important historical figure in many different Cold War related events. For example, Kennedy's presidency is closely linked to the country of Cuba during the Cold War. First, Kennedy was the president during the Bay of Pigs Invasion and was heavily embarrassed by its failure. As well, Kennedy is probably best known his role in the Cuban Missile Crisis between the United States and Soviet Union. He was important in the United States' steadfast refusal to give in to the Soviet plans to put missiles in Cuba and oversaw the resolution of the international crisis. During his presidency there were also a number of other important and influential foreign policies put into place. For example the Peace Corps were established and the Civil Rights Movement took place. President Kennedy was assassinated by Lee Harvey Oswald on the 22nd November 1963 in Dallas, Texas. Although Oswald was arrested and was regarded as the only shooter, a number of Americans believed that there was a conspiracy which involved a number of shooters.